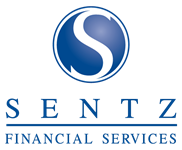 Sentz Financial Services delivers an experience like no other. We are powered by thorough education of all your available financial options. Our commitment is to personalize recommendations with responsive client service and communication. As we work together to achieve your short-term and long-term financial goals, our people and processes will ensure that every decision you make is an informed one. Learn more about the team and the services that make this mission possible!